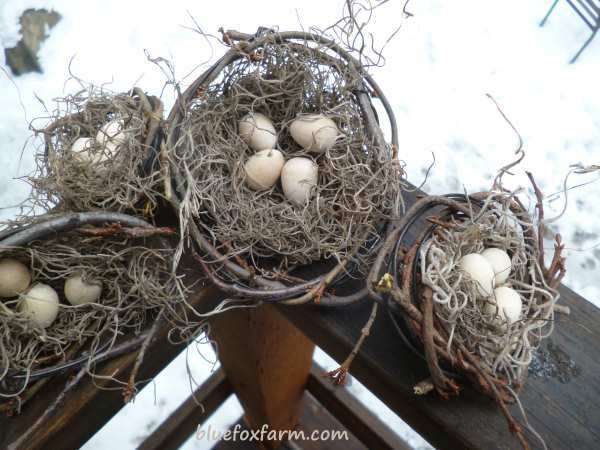 The rules and regulations are firm; no taking of birds nests from trees and shrubs! 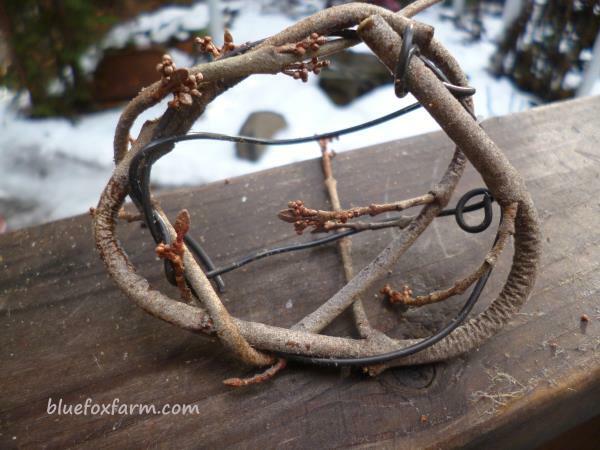 So, make your own out of some wire, a bit of twig and some Spanish moss. These springtime crafts are tiny, only about three inches across, the perfect size to hide in the branches of a Christmas tree, or make into Birds Nests Under Glass, using a twig for an accent, a small candy dish and a glass cloche. 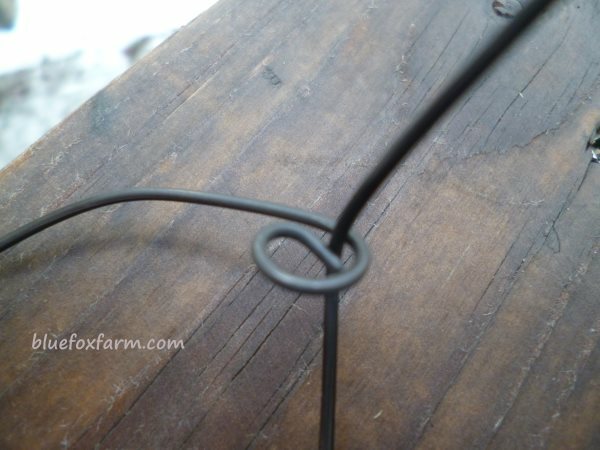 Start with a length of my favorite kind of pliable wire, like this Black Tie Wire from Amazon. This should be about 14-16" long. 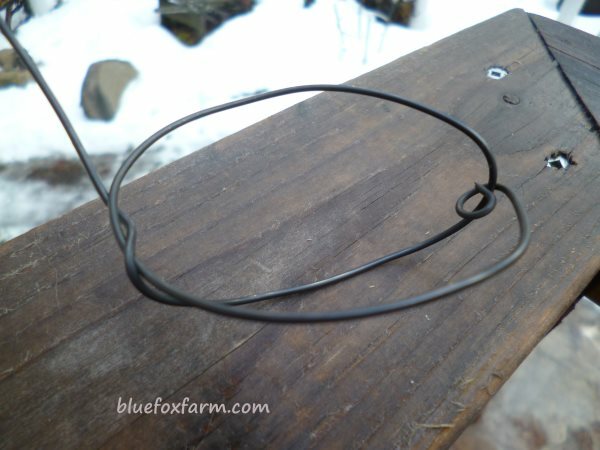 Make a small loop in one end, and then make the rest of it into a hoop shape, about three inches across. This is the basic shape of the nest. 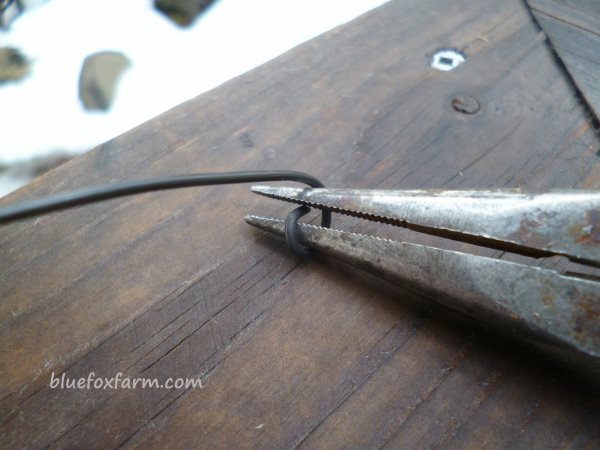 Hook the wire into the loop you made with your pliers, then pull the end down to make a bowl shape, ending up on the far side of the hoop shape. 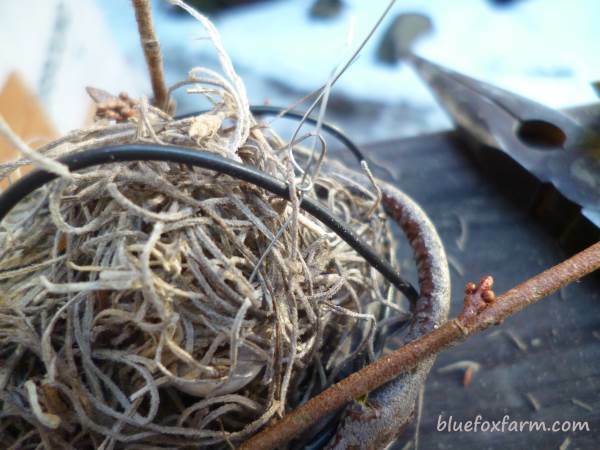 Wind the wire around and repeat, so you have the bowl shape of the nest with two pieces of wire going to the bottom of it. This will hold the Spanish moss. so you have the bowl shape of the nest with two pieces of wire going to the bottom of it. 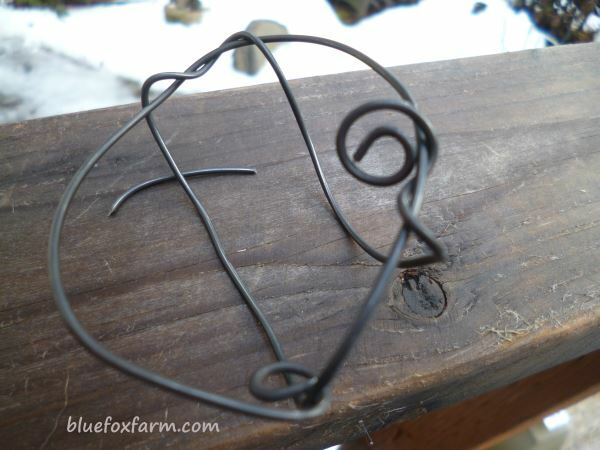 wind it carefully around the rim of the hoop, threading it where you can through the wire. 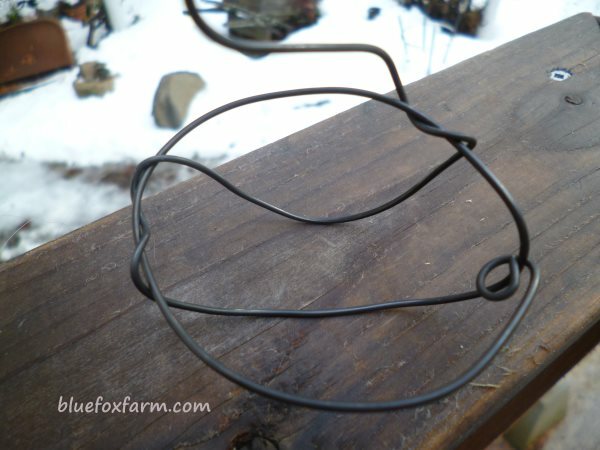 Once it's gone around the whole outside, curve it under the bowl part to reinforce the wire bowl shape. 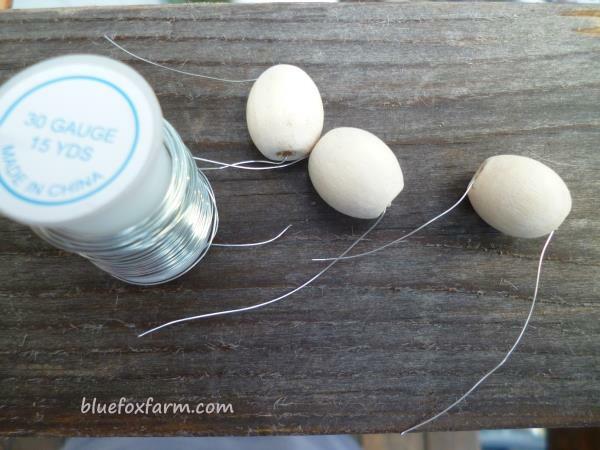 Three oval wooden beads make the eggs; thread florists or beading wire through the hole in the bead, making a 'hairpin' kind of shape. 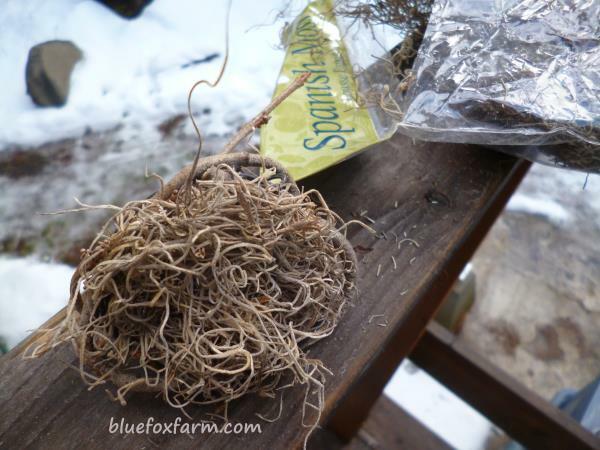 Take a small handful of the Spanish moss and roll it between your palms to compact it, then flatten it slightly. This goes into the bowl of the nest. Thread the two ends down into the Spanish moss and under the wire or twig at the bottom of the bowl, twist the two ends together. 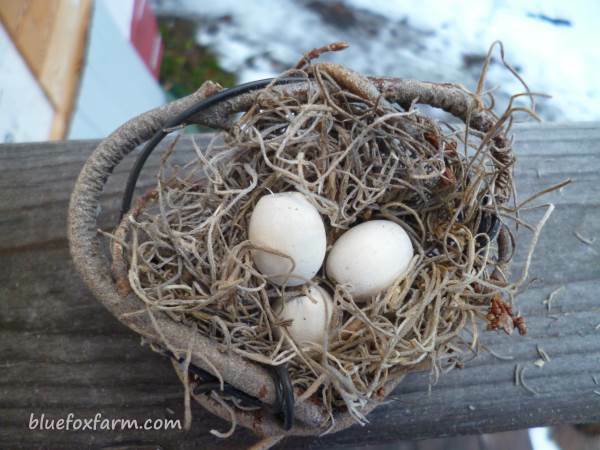 This holds the eggs in the nest, as well as making sure the moss doesn't pop out. 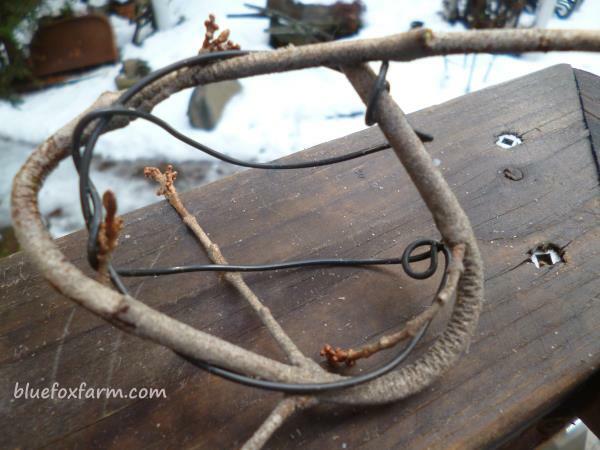 Take one slender flexible twig (shown here Shepherdia canadensis, the Buffaloberry, because it doesn't snap) and wind it carefully around the rim of the hoop, threading it where you can through the wire. 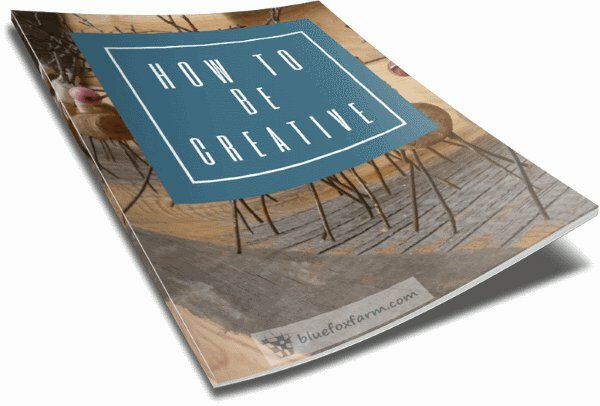 Make several of these and display them on a branch for a unique display on a mantel for your rustic Christmas. 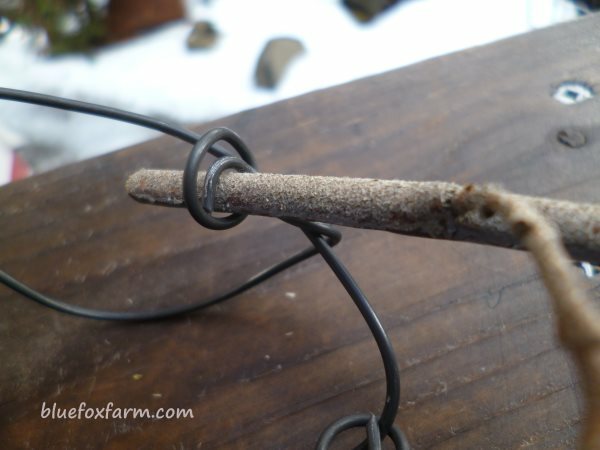 If the twigs snap too easily while fresh, leave them to wilt a bit and become more flexible. 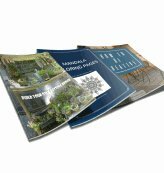 Display as a group in a twiggy branch, under cloches, or inside terracotta pots. 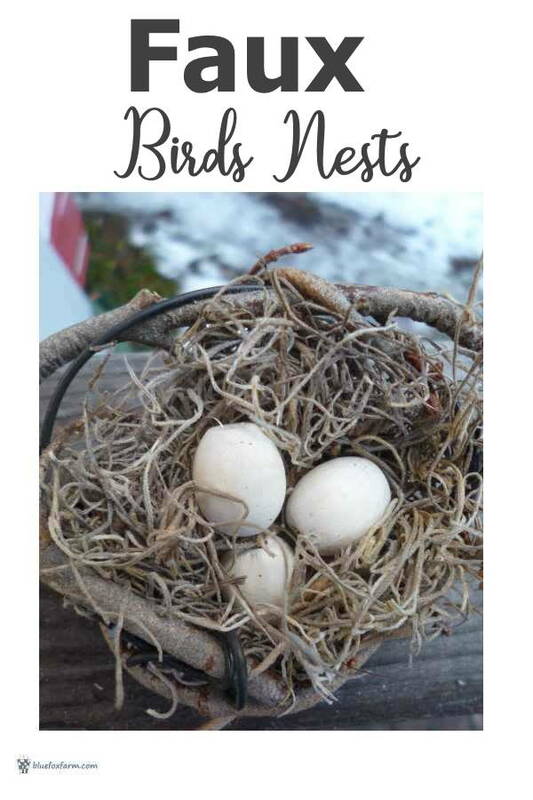 Real birds nests are fun, and so are these rustic birds nest crafts.